Please view slide #14 of the presentation below. Allow me to repeat the message. Please view slide #14 of the presentation below. Now granted, the data is three years old, but the data represents a CLASSIC DIRECT MARKETING RELATIONSHIP. 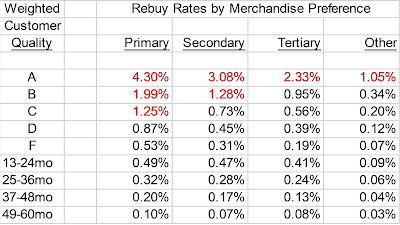 (assuming they calculate repeat purchase rate the same way most of us calculate repeat purchase rate). Remember, Acquisition Mode happens when your annual retention rate is 1% to 39%, Hybrid Mode happens when your annual retention rate is 40% to 60%, Retention Mode happens when your annual retention rate is 61% or greater. Any business can be run profitably in any mode. Zappos is in Hybrid Mode, just like so many of the businesses we manage. Project the data out, and you're looking at a direct marketer with an annual retention rate in the mid or maybe upper 50s, with customers ordering between 2-3 times per year. That's the kind of loyalty many of our direct B2C and B2B companies have, businesses that are stuck at $50,000,000 or $125,000,000 a year. This tells you that, while loyalty and repeat business are important, new customer acquisition is critical. If there were no new customers, you'd see this business erode, dramatically and rapidly. So, if you want to be like Zappos, and some of you send me e-mails asking me for the secret sauce that allows you to be the next Zappos, go do what they do --- offer a huge # of skus with rapid delivery (and that's key --- get the customer the item tomorrow or Wednesday) for $3 an item and free returns and great customer service and a "Hybrid Mode" annual retention rate and high volume customer acquisition via tens of millions of dollars of annual search marketing spend and social media. This doesn't guarantee profitability, of course. But you'd be like Zappos. View more OpenOffice presentations from zappos. Interesting slides on customer retention. Thanks, Kevin. It's always fun to see how other folks view the world, to see their metrics, and to realize that merchandise and service play such a big role in growing a company. Hey Kevin, thanks so much for the write up. We have a website (www.zapposinsights.com) that people can check out for more information about our "secret sauce". It is a membership based site but there are plenty of FREE articles, interviews, and resources available as well. 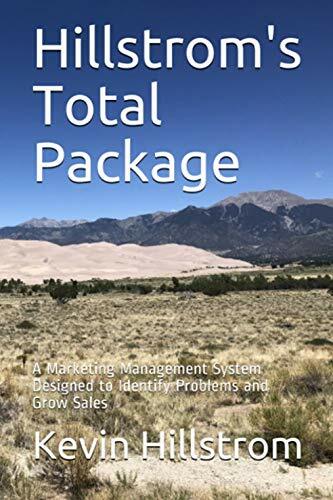 It certainly is enjoyable to determine exactly how other people look at the planet, to determine their own metrics, and also to understand that products as well as support perform this type of large part within developing a business.